International Body Odor & Halitosis informal webinar. Howdy y'awl. As you know, I will be in Nashville on Friday evening for the inaugural Grand Body Odor & Halitosis USA meetup at Embassy Suites Nashville Airport. All are welcome to attend. We are expecting around 20. We will be having an informal online webinar on Saturday at 11am Nashville time (Central Time), which you can all attend or watch, and then head out for a nice meal in the afternoon. The rest of the weekend can be decided spontaneously. There will be samples of body odor and halitosis products donated by manufacturers, such as Jarrow Formula probiotics, Dr. Mist deoderant, Orabrush tongue scrapers, Garden of Life Probiotic Smile (for halitosis), Urea 42% Cloths (for foot care), and other goodies. 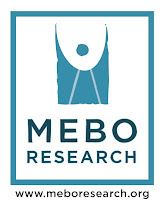 MEBO Research is not endorsing any particular product, but rather these companies have supplied us with these samples asking us for feedback. There will be handouts, including a six-page paper Nigel Manning, Principal Clinical Scientist, Dept. Clinical Chemistry, Sheffield Children's Hospital, England, wrote for our meetup. Other handouts will give links to professional articles and papers on TMAU, halitosis, hyperhidrosis and bromhidrosis (a presentation on this topic may be given) as well as reference to organization specializing in one or more of these topics. 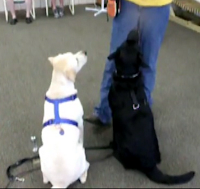 I am happy to announce that I will be leaving Thursday morning and heading for Frankfort, Kentucky, to see our future TMAU Service Dog, based at Pawsibilities Unleashed, to talk to the trainer, Liz Norris. She has kindly said we can bring the pup to Nashville! She hasn't begun TMAU training yet, but is trained to be around people. I will keep you updated on the blog with my Palm Pre cell phone, as the days go by. In the meantime I present the obligatory pre-meetup inspiration movie, to get us all in Nashville mode. Enjoy!